I am so excited to share with you TONI&GUY's Spring-Summer Hair Trends Collection 2015. It is inspired by the latest fashion trends by top London Fashion Week designers such as Helen Lawrence, Louise Alsop, Matthew Williamson and Vivienne Westwood. These four stunning looks were showcased at the first-ever TONI&GUY Hair Pop-Up Boutique at held at The Gallery, Greenbelt 5 last March 27, 2015. "Traditional summer looks have been renewed, refreshed and re-energized for whole new season ahead. "- Mark Hampton, TONI&GUY's Hair Meet Wardrobe Global Ambassador. From dreadlocked, bejewelled, crimped, knotted to featherheaded - hair is styled to incorporate elements of mysticism through gems and rich fabrics. Push the boundaries of creativity with our hair by using TONI&GUY Hair Meet Wardrobe Creative Style Spray Wax coming in April 2015. TONI&GUY showcases an urban beach hair look that is accentuated with tousled textures and matte effects. 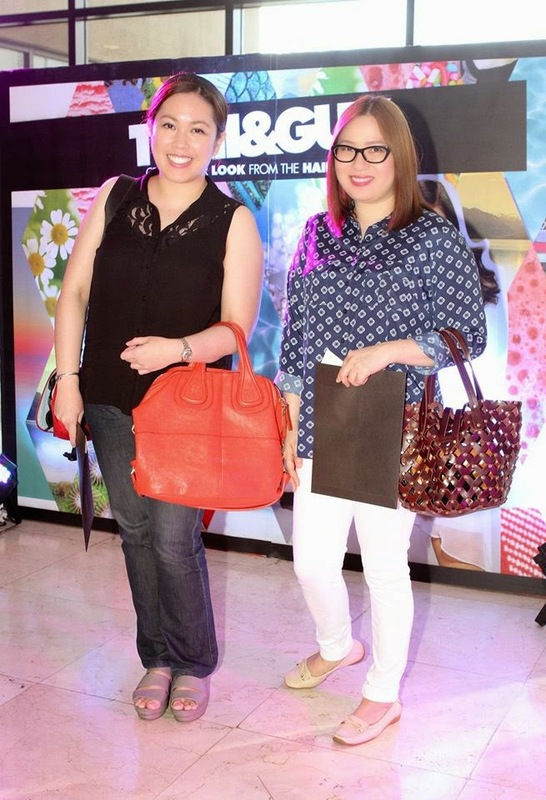 This summer in the city look works well with fashion that's textured and accentuated with vibrant pops of color. Create the casual look with the new TONI&GUY Hair Meet Wardrobe Casual Sea Salt Spray for women and for men, get the sea-whipped look with TONI&GUY Hair Meet Wardrobe Men Styling Fibre Tub. Highlighted by voluptuous curls that were full of movement and a polished look, it goes really well with the distinct femininity that is replete with soft, languid silhouettes. 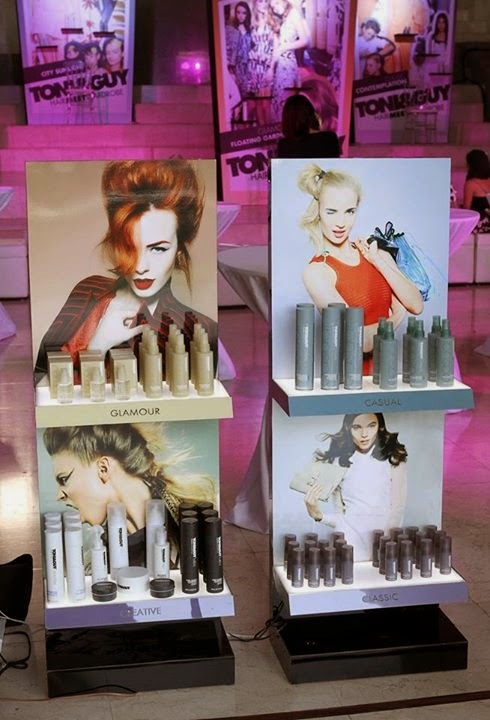 Get that beautiful bounce for your hair with the Glamour Serum Drops from TONI&GUY Hair Meet Wardrobe. TONI&GUY's take on the classic- sweep the hair to the back or to the side paired with crisp-pared-down styles, streamlined silhouettes in raw and organic shades, we are treated to a look that is sophisticated and harmonious i its quiet elegance. Discover discrete luxury with TONI&GUY Hair Meet Wardrobe Shine Gloss Serum.